This tour is a definite GO! We expect it to sell out. Sign up today! Water, water, water! Beaches, sun, excellent food and fantastic bike trails! 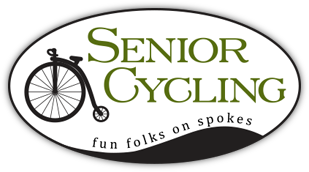 Join us for an intensive and oh, so beautiful tour of Pinellas County, Florida, where cycling is big! 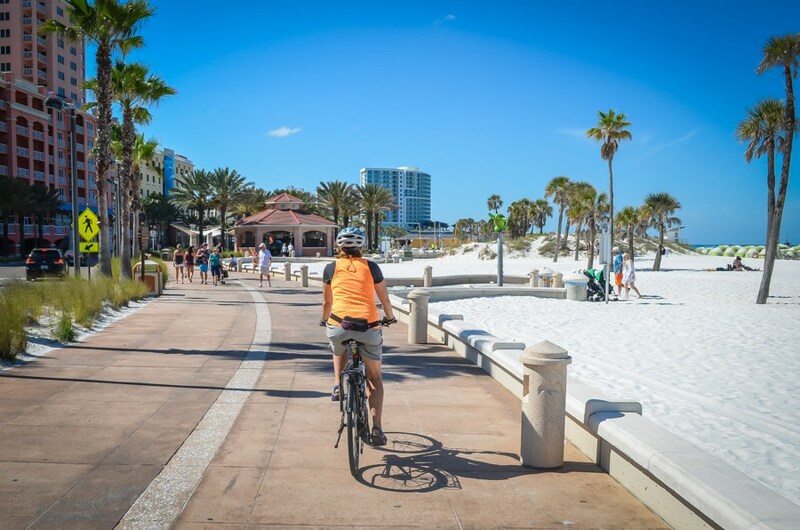 You’ll bike over bridges (although, not as many as the Florida Keys) to Tampa, along causeways to historic Fort DeSoto County Park, and over a spectacular arch to the dazzling white sand beaches of Clearwater. Better bring a new card for your camera! Over the course of 6 days, and on all paved bike trails, you will basically ride the perimeter of the entire county. 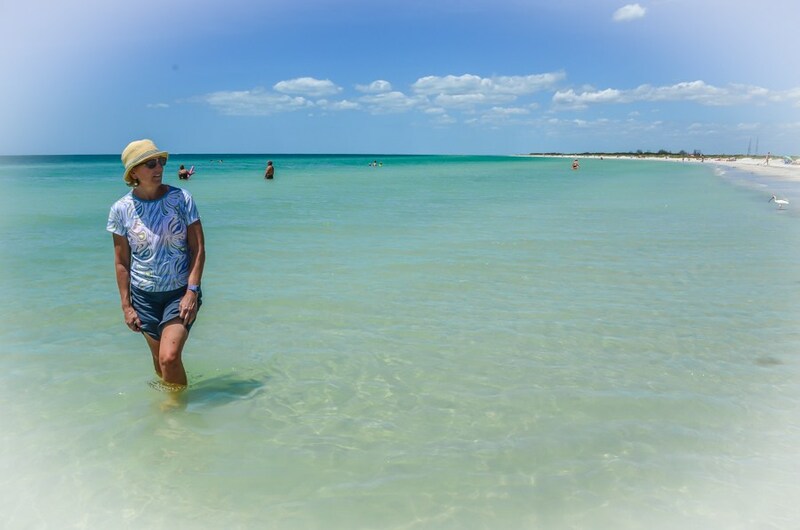 Mark and Colleen indulged in a week of scouting (that means testing the waters in advance for all the best cafes in downtown St Pete’s – a sample of salted caramel cake on Beach Drive – don’t miss!) and we are truly excited to offer this fun-filled tour with you. Meet at the Holiday Inn Express & Suites Rocky Point, Tampa, where we’ll gather for our introductory meeting followed by dinner. Dining, cycling and shopping options are within easy walking distance of the hotel, where we’ll stay for two nights. 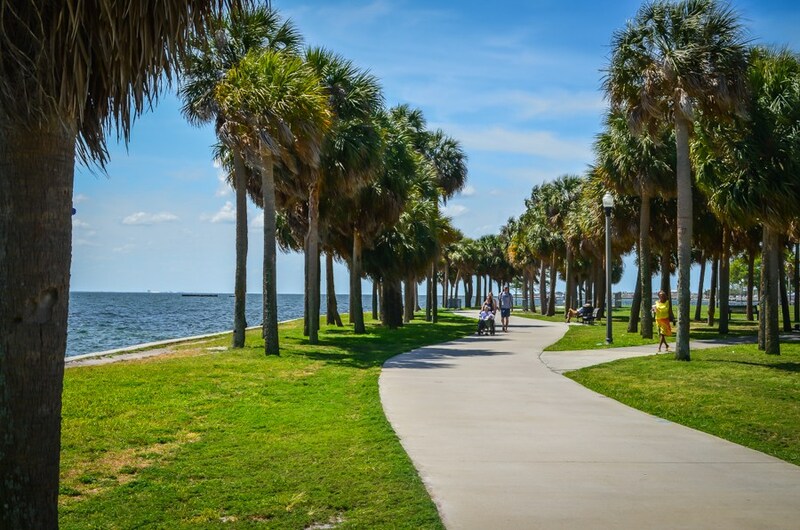 29 miles – Bike from our hotel west across Old Tampa Bay on the Courtney Campbell Causeway Trail to the quaint town of Safety Harbor where we will have lunch. You're free to explore the shops and see the sights here, then bike (or van) back to the hotel. A beautiful ride! 24 miles – with options for more or less mileage. Bring the camera! 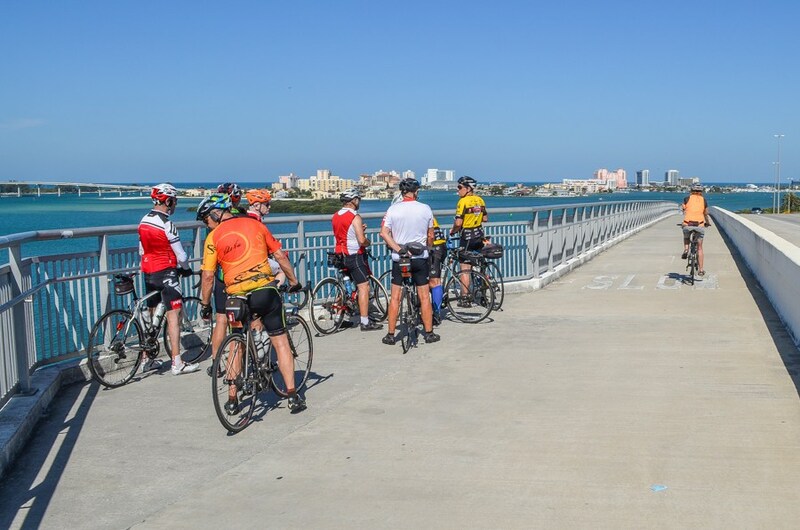 We'll shuttle down to Ft De Soto Park to begin the day's ride, which uses several excellent trails, including the Skyway Trail and part of the Pinellas Trail. 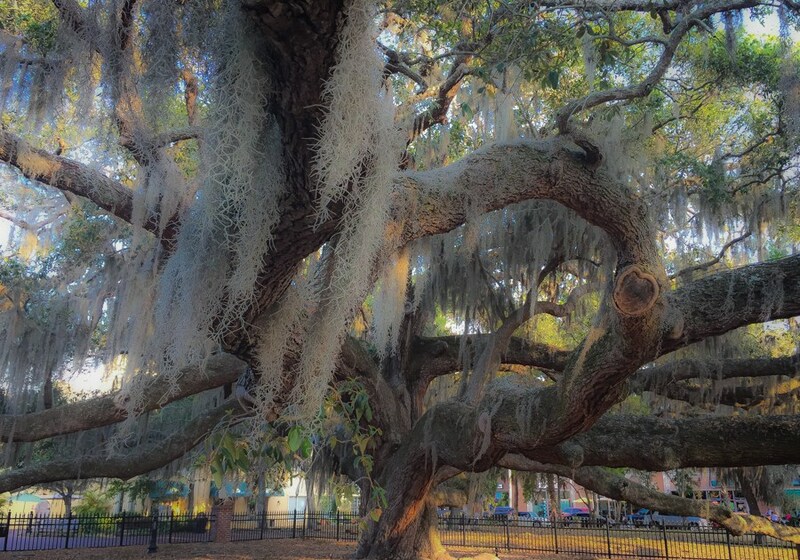 We'll ride right into the heart of downtown St. Petersburg, where we will spend the night. Optional afternoon ride will be on the very scenic Coffee Pot Bayou Trail. Tonight we'll be free to roam the streets of St. Pete. 25 miles – with options for more or less mileage. Bike roughly half of the award-winning Pinellas Trail today, from downtown St Petersburg to Clearwater, then over the bridge to our Clearwater Beach hotel, right on the water. You’ll be able to stroll the sidewalks for dining and shopping, or just walk that stunning beach! Optional extra cycling mileage is all around you on bike paths and dedicated bike lanes. Optional mileage. 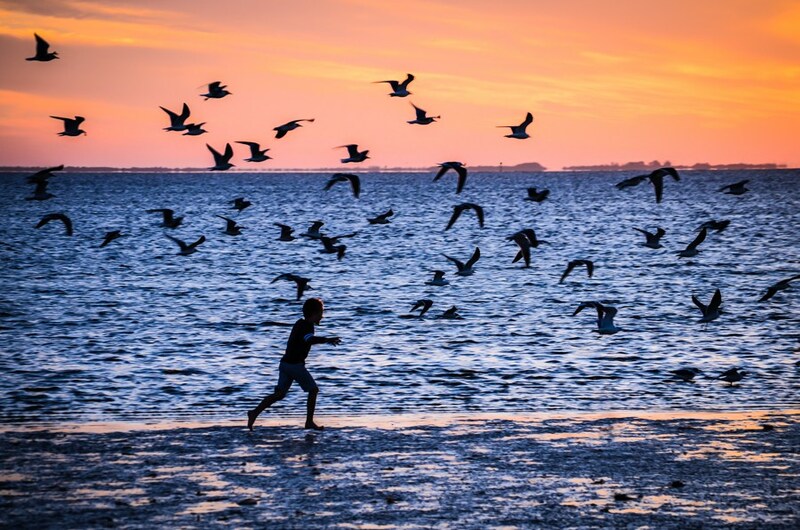 Spend a play day at Clearwater Beach. Put up the beach umbrella and read a book, take a nap, ride your bike… the day is yours to explore the area. Points of interest include the Clearwater Marine Aquarium, Sand Key Park, downtown Clearwater and much more. 25 miles – with options for more or less mileage. 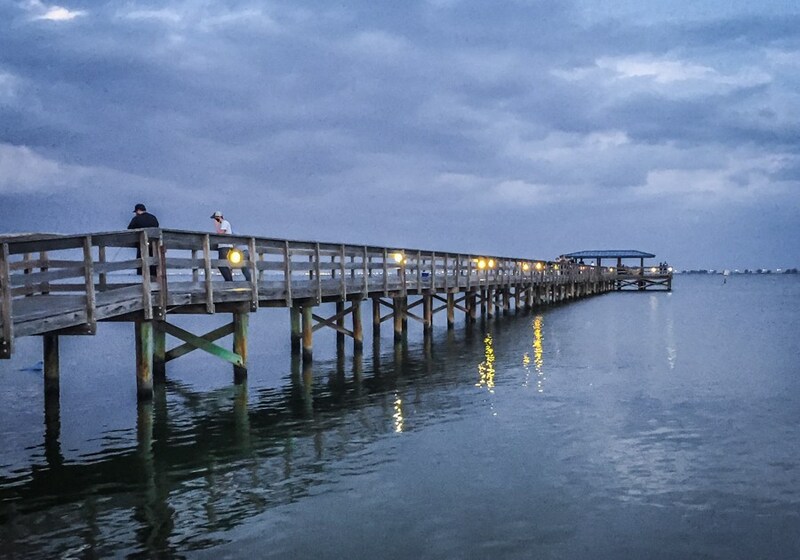 Bike back to the Pinellas Trail and ride it north through Dunedin and on to Honeymoon Island State Park. We’ll be waiting there with a fine picnic lunch for you. 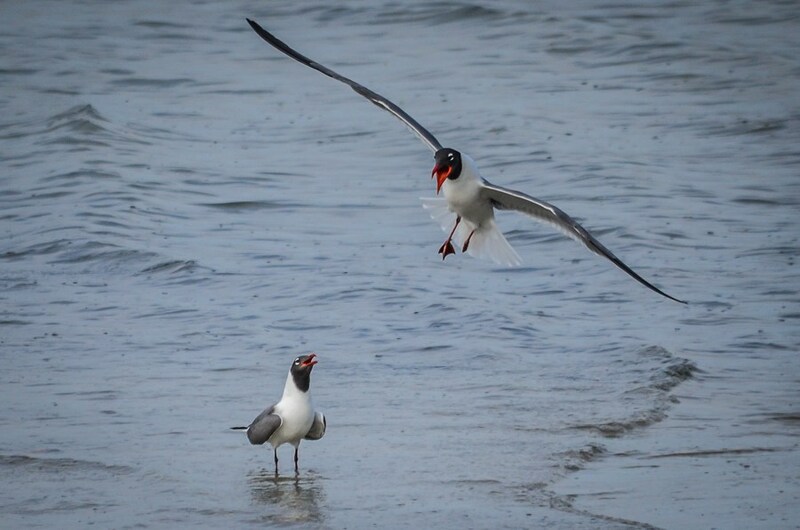 You’re free to explore the park and ride the ferry across to Caladesi Island State Park which has its own fine beaches as well as a paved bike path for your enjoyment. Bike back to our Dunedin hotel to spend our last night together. Dinner is on us tonight at a wonderful Dunedin restaurant. 22 miles – with options for more or less mileage. 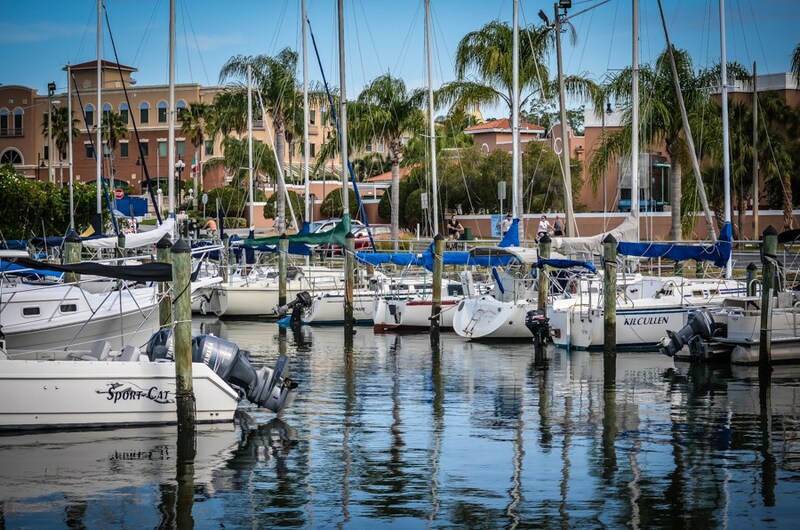 Bike from Dunedin to Tarpon Springs where you’ll walk the famous sponge docks. We can point you to our favorite Greek restaurants. You might be up for more miles after lunch, so you can ride the Pinellas Trail on to its terminus at John Chesnut Senior Park. From there we’ll load up and van back to our Tampa hotel where we began our adventure. 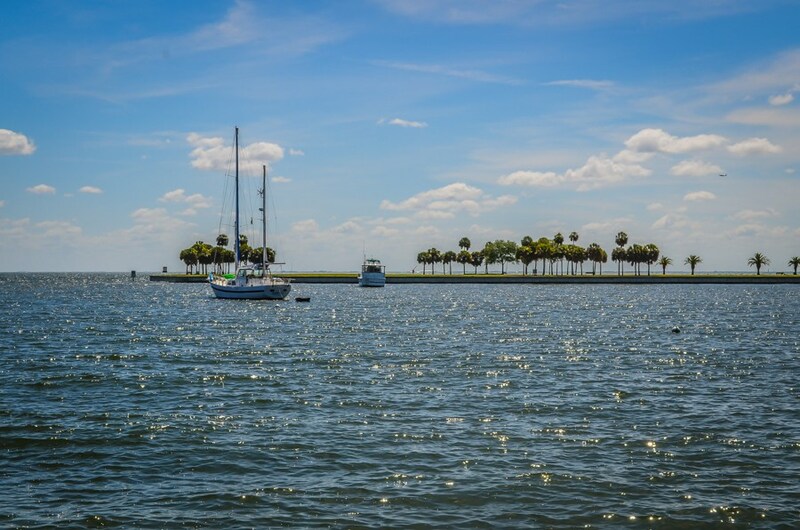 You’ll leave with fine memories, new friends, and a keen understanding of Pinellas County, Florida. This tour’s trails are all paved. With the exception of approximately 1.5 miles on the way to Ft DeSoto Park, we are exclusively riding on paved bike paths for the entire tour. Riders should have good bike handling skills as we are on and off the bikes frequently in order to cross trail and road intersections. The trip ends on Wednesday, February 12. We plan to be back at the hotel by 3:00 PM but we cannot guarantee this time because traffic delays are always possible. If you are driving, meet us at the hotel. You may leave your car there during the trip. Note: there may be a fee for leaving your car. Please notify hotel staff of your parking needs upon arrival. If you are flying, use Tampa International Airport. Our hotel includes a courtesy airport shuttle. Your night’s lodging on Thursday, February 6 through Tuesday, February 11 is included. Your night’s lodging on the day the trip ends (Wednesday, February 12) is not included. 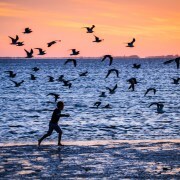 That night is at your expense and reservations for that night are your responsibility.